This phrase Spiritual But Not Religious SBNR began to take firm root in the collective psyche at the turn of this century. It was coined by author Sven Erlandson in 2000 while Pluto was in Sagittarius. Pluto, god of Death and Transformation, bulldozes through a sign to unearth its flaws and Shadow; this begins a process of elimination and irrevocable metamorphosis. 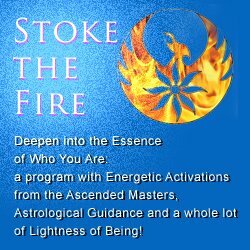 Yet SBNR started to shift the Universal Unconscious in the 1960s when Uranus and Pluto were conjunct – in the same sign of Virgo. This is an example of the processing that occurs when slow-moving planets make major configurations; we are up for long-range changes. Feminism and civil rights started seismic shifts in traditional religions. Civil right movements were supported by some strong religious institutions, but not all. Sagittarius is the sign connected to formal religion, legal matters, justice, higher education and foreign countries. These things take us outside ourselves to look at the world through a larger lens. Religion has historically been practiced through a collective, with rituals, words and practices passed down from generation to generation. Spirituality has been a part of religions, but stems from the inner world of the individual. I vividly remember when this Time magazine arrived in our post box in the ’60s. 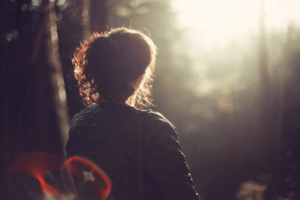 It ignited thought processes that my parents and religious teachers shooed away but that wore at me with my growing exposure to the larger world. 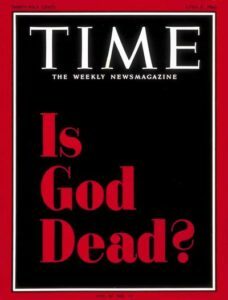 In 2008 (when Pluto first entered Capricorn), the Los Angeles Times declared “Is God Dead?” among “10 magazine covers that shook the world”. I can testify that it shook mine. At points of darkness in my life, those graphic words flashed at me. In extreme moments, I thought the copy was “God Is Dead”. Google has allowed me to see the difference in what I’d remembered and what had been the reality. This weekend I listened as a black reverend explained the difficulty in the Black Lives Matter movement was that unlike before, these young people were not connected to the churches and therefor lack a “moral compass”. That’s his opinion as a religious leader, not mine. The question for today is where does that need for religion go, if masses of people reject what traditional religion is? Because we still need that Sagittatian overview — it’s part of the hunger of the psyche. Spirituality connects to another piece, the Piscean/Neptune higher octave of Love. Spirituality informs the religious urge which looks to create form, community and systems. Instead of dying, religions must morph into the needs of their people. or they are irrelevant. Religions are institutions that Pluto in Capricorn uproots. The more entrenched a religion’s leaders are in the structure and capital of their institution, the greater the resistance to change. Capricorn is the sign connected to institutions and we see this upheaval all around us — government, financial, education and corporate. The harder an institution clings to an old frame, the more gracelessly it will fall apart. Time will tell which religious institutions manage to accommodate the needs of the people or which may spring up new. The spiritual urge thrives in community that provides meaningful ritual and practice as an anchor. Spirituality benefits from a belief system that offers harbor but does not inhibit growth and exploration. So are you spiritual and religious? Or SBNR?